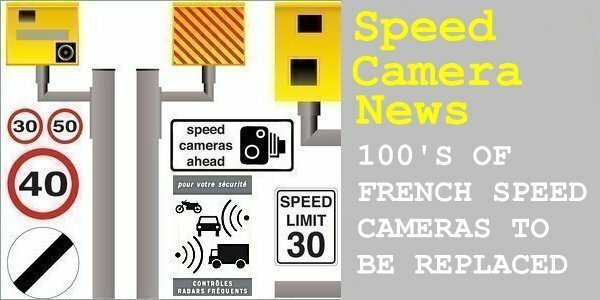 It would seem the destruction of 75% of speed cameras in France may have backfired on the protesters that wrecked them. The French government is taking the opportunity to replace them with far more efficient devices that look as if they'll catch a whole lot more drivers than they could ever do so before. They are also reportedly more able to withstand vandalism. There are 400 new cameras being installed this year with a further 1,200 planned for next year. The cameras can monitor eight lanes of traffic, and although to begin with they will record only speed, they have the capability to catch drivers not wearing seat belts or using mobile phones. Additionally, they can spot motorists jumping red lights, illegal overtaking, tailgating and driving in a prohibited lane. The "fixed" cameras are also movable so drivers can't get used to where they are, and for every working device, there will be four decoys. To which type of camera, specifically, does the post refer? The French are introducing a number of initiatives to which this post probably relates to only one.